This elegant handmade dichroic focal is adorned with sterling silver curls making the pinks and dramatic golds truly pop. 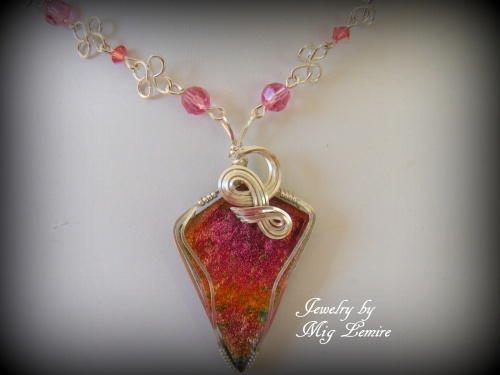 Necklace part is made of Austrian Swarovski crystals of pink and fire opal colors and interlocked with clover like sterling silver links. Matching earrings included. Piece measures 18" long.